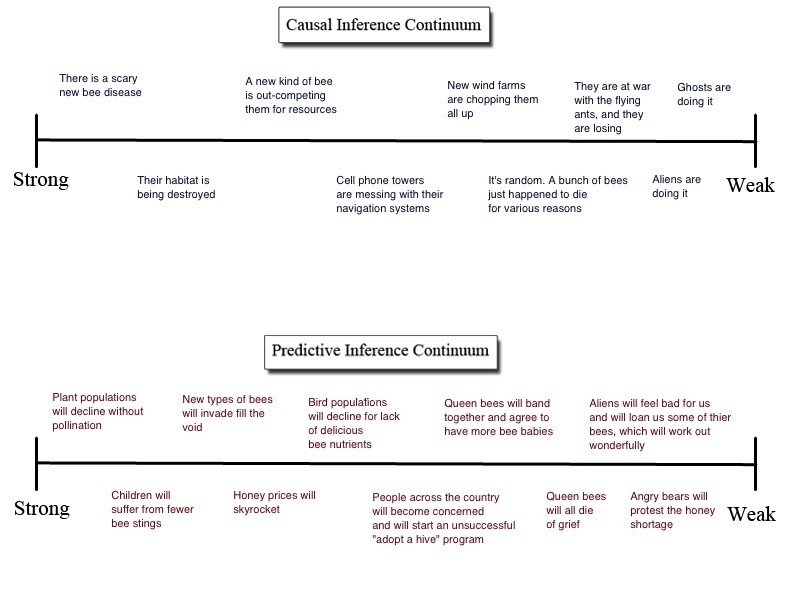 Overview: This page defines inferences and explains the mechanism of an inference continuum. 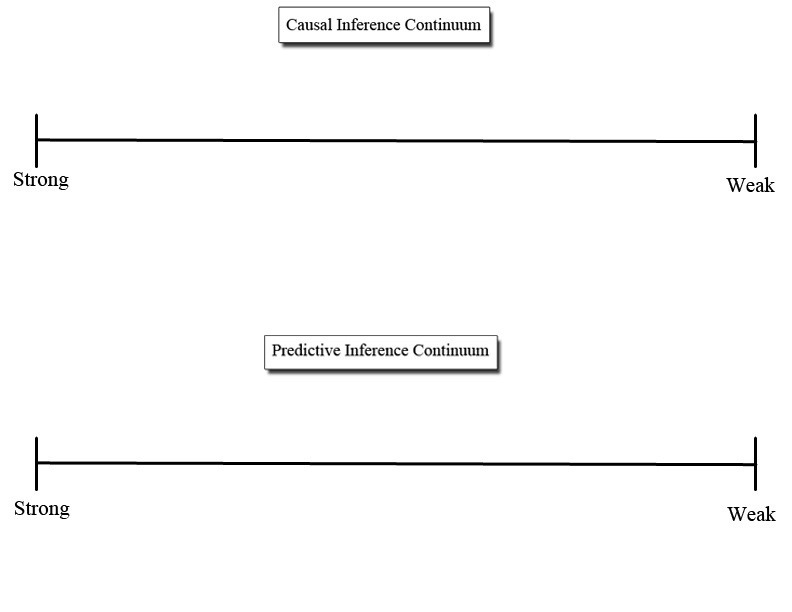 An inference is either strong or weak based on its correspondence with our experiences. This is tricky, because we all have different experiences. If we want to increase our ability to evaluate inferences, we need to engage in a broad range of activities that will increase our experience. These would likely include: 1. Asking lots of questions, 2. Going to school, 3. Having lots of conversations, 4. Reading books, 5. Travelling, 6. Taking social and intellectual risks, etc. Of course, it’s highly debatable whether or not the alien inference is really stronger than the angry bear inference, but in my experience, angry bears have difficulty organizing a dinner party, much less a protest. She was engaged in a spirited squirt-gun war. If Harriet continues to shake her head and say, ‘That’s not what happened,” we are forced to come up with some possibilities that are less familiar, and presumably, less likely. Once we have run through all of our strong inferences, imagination is required to come up with some weak ones. She spilled acid on herself during a chemistry lab and had to use the emergency power-shower. Mean-spirited firemen drove by, saw her, and doused her with a fire hose. Aliens were somehow involved. Or ghosts. Aliens and ghosts are two of our culture’s default answers for events that aren’t easily explained with strong inferences. It’s entertaining to come up with weak inferences, but it’s also difficult. Many schools hang posters of Albert Einstein with his famous quote: “Imagination is more important than knowledge.” Usually the poster has a picture of Einstein making a silly face, so we’re meant to infer that Einstein felt that being silly and enjoying life is more important than being a serious scientist. It seems to me that Einstein was saying you need imagination to be a great scientist because you are constantly forced to search for seemingly weak inferences to solve hard problems.